Hosting blogs for my projects, life events, and rants. It’s been a few months since my last update but that doesn’t mean there haven’t been a number of improvements to Crash Co! Starting things off, let’s face it, the buildings in Crash Co. were due for some refinement. 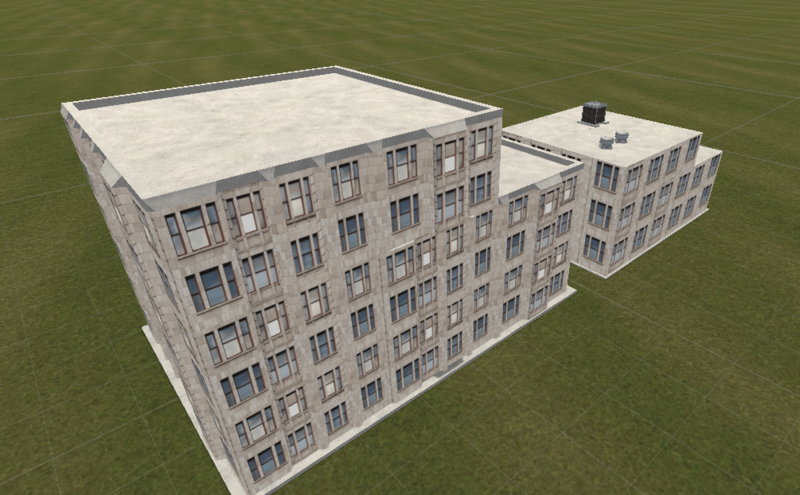 These were still the original buildings from my prototype days so suffice to say, they were a bit ugly. Being nothing more than cubes with a texture meant everything about them looked flat. They got the job done, but there’s no reason that I couldn’t add more detail; so that’s just what I did. Below you can see the transition from old (right) to new (left). Despite having added more detail to them though, they still seem a bit lifeless. Enter reflections! After having (finally) decided to learn about Reflection Probes, I decided to put them to use and generate a reflection at initial runtime (not in realtime though as that is far too expensive). Despite the lower quality of the video below, I am quite satisfied with the final effect.